When I was a kid I remember “blue light” specials at K-mart. If you remember, the concept was to spark customer buying by offering a temporary sale in a department of the store. It seemed like a random process, but there was probably a science behind it. 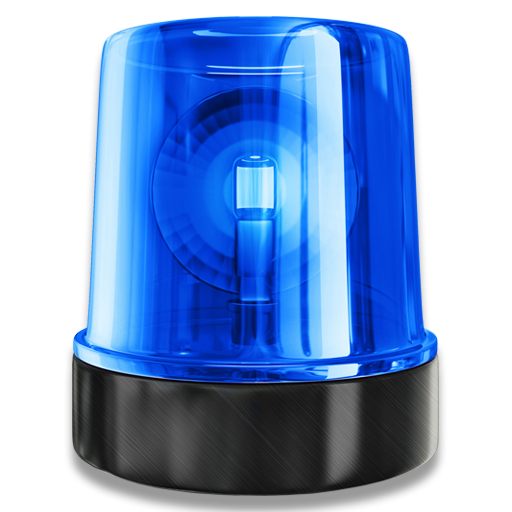 In a bit of irony, we think there may have been a “blue light” special for the retail sector in the US last week. Time will tell whether this is a cyclical or secular move, but the body of evidence existed to allocate some capital in this sector. Let’s dig a little deeper into why retail, and why now. Before I review the thesis behind our recent investment into retail I want to take a moment to go through our investment process as a whole. 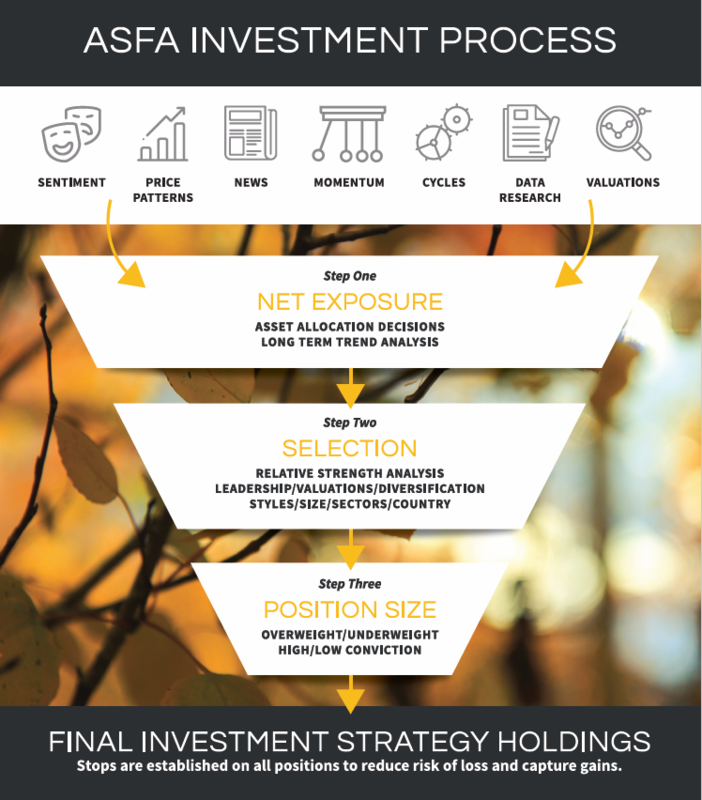 We use a process to manage portfolios. Our construct was born out of both experience and research with the goal of having a game plan for every market environment. We can’t tell the future, but we can create an action plan based on a set of conditions. It all boils down to probabilities. From the graphic above you can see there are three phases starting with net exposure (how invested are we) all the way down to position size. I want to focus on the middle section of that graphic—Selection-- in the context of buying into several retail names and retail sector funds last week. There are multiple criteria we use to screen where to deploy capital. Sentiment, relative strength, valuations, and diversification to name a few. Let’s review each for the retail sector. This variable is a bit tricky and usually not the final arbiter. But, it is a part of our analysis. We are looking for negative sentiment that has brought prices and valuations down. The concept is that everything bad gets baked into the price—lower earnings, tighter margins, and competitive pressures, etc. The retail environment has certainly changed over the last 20 years. The rise of Amazon, amongst others has put tremendous pressure on the margins and profitability of many retail operations, and in some cases like Toys R Us, put companies out of business. Most have written off the sector. A day doesn’t seemingly go by without an article calling for the death of retail. Due to the competitive pressures mentioned above valuations have come down to below market multiples in many instances. Earnings estimates have come down dragging prices with them. Let’s take Kohl’s (KSS); one of the names we bought. Price to earnings is below the market. Single digit price to cash flow. Double digit return on equity despite a very competitive environment. One added kicker with this name is the overall yield delivered to an investor. Attached is a table outlining the dividend yield and buyback yield for Kohl’s. It has delivered 6% a year to investors over a trailing twelve-month period. We like to monitor how particular sectors are performing relative to the broader stock market. As you can see the SPDR retail ETF (symbol: XRT) started to marginally outperform the market over the last couple of months. But in the last couple weeks, the outperformance has accelerated (rising blue line in the chart below). For us, price action is the final arbiter to put money to work. The price breakouts within the sector and the relative strength are confirmations that the risk / reward have moved in our favor. 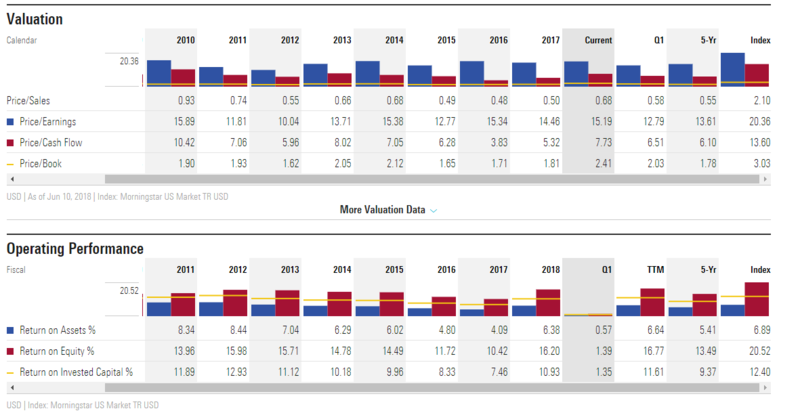 We ended up buying several individual retail equities, including Kohl’s (symbol: KSS), Dillards (symbol: DDS), AutoZone (symbol: AZO), along with the Rydex Retail sector mutual fund (symbol: RYRIX) as a result of this analysis. We never know how a particular investment will perform, but as always, we will actively manage the risk of this position should our thesis change. We see a lot of bearish news in the financial press these days. Get ready for the next recession, or stock markets are at all-time high valuations—beware! While we certainly understand some of the concern, as this retail example illustrates, we are still seeing some great opportunity to buy cheaper equities in places that you wouldn’t expect. You just have to go below the passive indexes to find them.